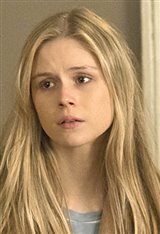 New York City-born Erin Moriarty launched her acting career in a way many hopefuls dream of: with an awards-recognized project. Erin first appeared on screen in the Emmy-nominated soap opera One Life to Live in 2010, playing the character Whitney Bennett in six episodes. She built on her TV work with a guest role in an episode of Law & Order: Special Victims Unit, also in 2011. The following year, Erin landed a small part in her first feature film. Acting alongside Ben Stiller, Vince Vaughn and Jonah Hill, she appeared in the sci-fi comedy The Watch . In 2013, she took another supporting gig in a movie. However, this one would go on to be nominated for the Grand Jury Prize at Sundance. The coming-of-age dramedy The Kings of Summer follows three teenagers who hatch a plan to part ways with their parents and live off the land in a house built by themselves. Portraying Natalie Walraven, the daughter of Radha Mitchell's character, Erin also worked on the 2013 TV series Red Widow. She stayed in TV in 2014 and played the daughter of Woody Harrelson's hard character Marty Hart in the first season of the Emmy-winning and Golden Globe-nominated True Detective. It was a role that required her to appear in three episodes. Since the show wrapped, Erin has said playing a Goth was "fun...because it's the opposite of how I present myself, and is the opposite of any role I'd been considered for." In 2015, Erin landed a recurring guest role on hit Netflix crime action series Jessica Jones. In 2016's Captain Fantastic , starring Viggo Mortensen, she played the supporting role of Claire in the film festival favorite about the changing dynamics of a unique family. Erin followed that up with the action thriller Blood Father (2016), starring Mel Gibson and William H. Macy. She went on to play a starring role as Kelly in the biopic The Miracle Season (2018), alongside Helen Hunt. Erin, who's been touted as a stylish up-and-comer, says she prefers chic, classic clothing with colorful shoes or fun jewelry. Citing Fargo as her favorite film and Shakespeare's A Midsummer Night's Dream as her go-to play, she names Alexander Wang and Givenchy as designers she'd love to wear on the red carpet. When she needs cheering up, Erin says she's quick to turn on 500 Days of Summer (2009) or Bridesmaids (2011).